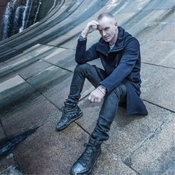 Theatre-goers will be the first to hear an early preview of a new song by Sting. The musician’s yet-to-be released album, The Last Ship, shares the name of a musical play he has devised, which is to open on Broadway next year. And he has given permission for the title song to be included in another new play to be premiered in the North East this month. Director Max Roberts asked Sting for permission to include his song All This Time in the play, Tyne. Sting gave his blessing and also sent a demo recording of The Last Ship along with additional lyrics. Newcastle writer Michael Chaplin has taken stories by some of the region’s greatest writers and woven them into a celebration of the River Tyne that will premiere at Live Theatre on Newcastle Quayside. Musical director on the project is Kathryn Tickell, a friend of Sting, whose Northumbrian pipes will be heard on his new album, which is due for release in September. Sting was at Live Theatre in February last year when an invited audience, including former shipyard workers, were given an early preview of his musical play. The play was performed by a cast including Jimmy Nail and tells the story of a group of shipyard workers who decide to build their own ship when they learn the yard is to close.. Encouraged by the loud applause, Sting and the creative team returned to New York where The Lost Ship has continued to be shaped under Broadway producer Jeffrey Seller. The album will help to build interest in the production ahead of opening night. But Tyne promises an early taster for people in the North East where Sting grew up. Max Roberts, artistic director of Live Theatre, said: “I was delighted by Sting’s generosity and support for our project. I think it’s born out of a deep fondness and commitment to his home town, its river and the region’s cultural vitality. “Having been lucky enough to listen to some of the new songs, I was taken by the passion and lyrical beauty of the music and words. I’m sure everyone here will love them. Sting is also a great admirer of Kathryn Tickell, who is our musical director for Tyne and one of the creative forces behind the Festival of the North East, which includes our production. The linking story of Tyne follows siblings Mark and Kate as they trace their father’s story and life along the river’s edge where they meet people with stories linked to the river. Tyne also features writing from the late Tom Hadaway, Julia Darling, Alan Plater and Sid Chaplin and will run at Live Theatre from June 27 to July 20.